Baseball Equipment Bag .... Johnny Comes Marching Home Hurrah! Hurrah !! The Army Duffel Bag served our men of the Service well while in the Military. Baseball Equipment Bag which really more often than not, during the late forties and well into the fifties, was an old well used and worn Army Duffel Bag. The old military duffel bag was one of the few items our military veterans were allowed to keep and bring their belongings home. Men being discharged at the conclusion of their service during World War II with their personal gear and their duffel bag was it as Johnny came marching home. These bags found their way onto many a ball diamond across our country as the keeper and carrier for the team baseball bats and other team gear in the baseballs-finest-equipment-bag. These old army duffel bags were many a young ball players and basebal teams prized possesions as baseball equipment bag. Today the colorful designer equipment bags have taken the place of the "ole Army duffel bag" as the bag of choice. The baseball equipment baseball players and teams use for today's bats and accessories are designer quality. Ironically this Army duffel bag was called without fail, an Army Duffel Bag now baseball terminology using the term Duffel bag is almost forgotten. This was one item that was totally color blind. it was not The Green of the Army, not Navy Blue and not Marine Corps Green. Military service the use of the word Army is almost what we could describe as a generic term such as Cokes for all soft drink colas. Our bat bag so universally called the Army duffel bag, now our bat bag, the Navy and the Marines knew it as a Sea Bag. It was plain an simple a Military Duffel Bag for all of us grateful young ball players. All men who ever served in the military service carried the these identical bags to their travels of war. For anyone who might not know the use and purpose of the Duffel Bag, it was the (if you will) suitcase, the chest of drawers, the closet for personal/military clothing while overseas in a combat zone. This baseball equipment bag made an ideal carry all and keeping place for the team bats and the catchers equipment and often the balls. You need something reliable to store all your stuff. From your bats, cleats, and glove, to your wallet and watch. 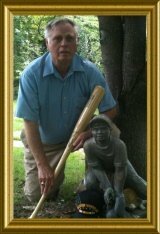 Many an item which was lost for some time would low and behold show up again when the ole bat bag or baseball equipment bag was turned upside down to empty out its contents there on the ball diamond. 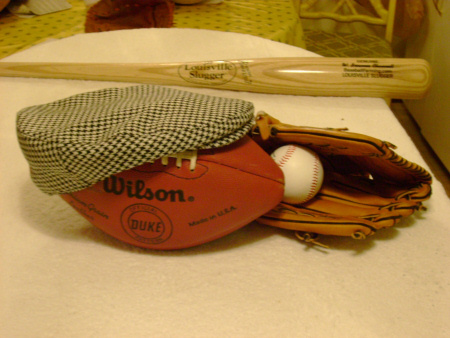 There is a moral to this story, never hide anything in the baseballs-finest-equipment-bag which you do not want found ,for sooner or later it will suddenly reappear at the most inopportune moment from the equipment bag right there on the ole ball field. maybe you have heard it mentioned before here at baseballfarming but the game of baseball is a great education in many facets of life as well as learning about baseball. However, most times the balls were carried and kept in a used 5 gallon paint bucket. Before I leave the thought on the duffel bags, without question baseball equipment bag was often a gift to a son or nephew for his team from one of the Home from the War returning Soldiers, Sailors, Marines and Airmen. The bags were strong tough material of ideal size and had a carrying strap suited for the bat boy to sling over his shoulder and waddle under the weight back to the clubhouse room. The baseballs-finest-equipment-bag, which was a standard piece of baseball equipment, was that ole Army duffel bag. Now with the prolifiration of youth baseball equipment, with many youngsters growing up and leaving the game for other endeavors, it is smart money to visit yard sales for excellent used equipmentand once prized Signature-Baseball-Glove priced at below wholesale baseball equipment cost. The five (5) gallon used paint buckets to carry the balls was standard fare for the assistant coaches to tend. They were also (buckets) used to set throwing targets for outfielders. An outfielder who threw a perfect toss to home plate, into the open end of a five gallon bucket lying on home plate, was roundly cheered by his teammates. That throw had to be onto the infield and into the bucket with only one clean hop. That bucket held the old used dirty balls which we were using daily during practice. There was another canvas, ball only bag, which the coach, not the assistants, kept exclusively at his disposal. These were the new or almost new balls he would only let the pitchers use. This ball bag was a canvas, bag with two handles, reminiscent of bags pictured in the old carpetbagger cartoons depicting conditions following the Civil War times in the deep South. I didn't mean to get long winded talking about the old army duffel bags, as baseballs-finest-equipment-bag, which were such a Godsend for use as our equipment and bat bag. This however is one of those things vividly remembered concerning our game of baseball which I feel you would like for me to share with you. This is the type of information I hope to utilize on this website to share and bring into focus the things which made baseball our National pastime. Bat boy bag up the bats in the old bat bag. The rain is coming. "Rain Rain go away, little Johnny wants to play!" While here at Baseballfarming you will enjoy checking out these other topics for baseball equipment or baseball uniforms accssories or apparel. Take the time to browse these Baseballfarming affiliate shops for a good baseball equipment bag. Nice selection are also available for the best bats and bat bag at these shops browse around and see and buy what you want. Go Shopping Buy Some Baseball Gear Maybe A Baseball Equipment Bag.